Corn has long become an integral component of Germany’s major agricultural and food value chains and provides a livelihood for a large group of farmers and agricultural producers. It currently accounts for 21% of Germany’s cultivated area. Corn is extensively used in pig production as well as dairy and poultry production. It is used for renewable energy production in biogas plants and is also an important ingredient for the food industry. 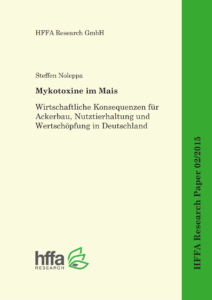 The new HFFA Research Paper written by Steffen Noleppa sheds light on an emerging problem that has, so far, received very little attention: corn yields are increasingly contaminated with mycotoxins, which are toxic substances produced by fungi. Mycotoxins are very dangerous to human and animal health, even in low concentrations. For example, feed contaminated with mycotoxins is known to have a negative effect on milk output. It also leads to reduced weight gain in pig production. These effects only mark the so-called “tip of the iceberg”, as many of the effects caused by mycotoxins are even far more devastating. The study highlights the fact that in 2014, mycotoxin concentrations in corn samples often substantially exceeded the maximum levels set by the European Commission. Although alarming, high mycotoxin concentrations are not a new phenomenon and have already been found in some previous years. Still, certain factors such as climate change will tend to exacerbate this problem in the future. 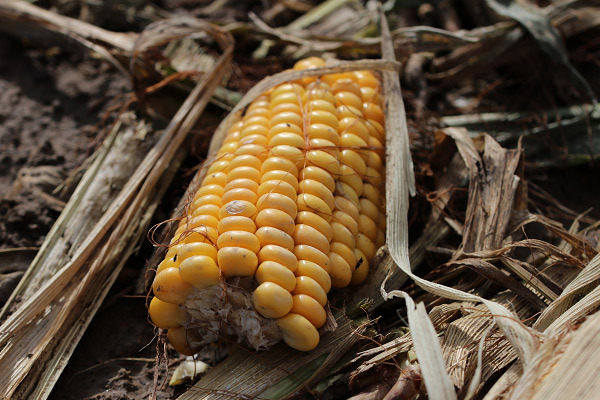 The study calculates the economic consequences of high mycotoxin concentrations for corn farmers, livestock producers and other actors along the value chain and presents detailed results. The effects of using specific fungicides, which are a possible solution to combat mycotoxin producing fungi, are also assessed. A case is made for assessing both benefits and potential costs of any available technological solutions. Combating this problem is of high urgency, which is also why further research on this topic and better quality data are urgently needed. The Executive Summary of this study can be downloaded below (German).